Welcome to the year of the Pig, or Boar, as some prefer. And, I’ve heard the Golden Pig (or Boar). This is a year of abundance, prosperity and happiness. It’s beneficial for teaching, philanthropy, and spirituality. We’re encouraged to stay close to friends and family. It’s also a time to end toxic relationships. The colors are red and white, which can harmonize energy. Red symbolizes fire and luck. However, it’s not recommended to use a red wallet. If you’re born in a year of the Pig, though, it is recommended that you wear a red bracelet to attract prosperity and happiness. Years of the Pig: April 2, 1935 – Jan 23, 1936, Jan 22, 1947 – Feb 9, 1948. And welcome to February and Aquarius time. Monday, the 4th is the New Moon when the Sun and Moon meet in Aquarius and set the themes for the new lunar cycle (16 degrees). Aquarius is the humanitarian of the zodiac and puts us more in touch with our human connections. It is also the rebel of the zodiac and likes to challenge the status quo. 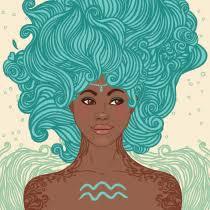 Aquarius is noted for its individuality. Many enjoy the shock value of their uniqueness. As always, I remind you that we are not just our Sun sign, and most may not have all the qualities of their Sun sign. All of us have all the signs within us in varying degrees. Another major planetary event this month is that Venus moves into earthy Capricorn on Sunday, the 3rd, after dancing through Sagittarius. Till March 3rd some of our social events may have more of a serious, professional, or political feeling than last month. Mercury, planet of communication and our rational mind, how we perceive things through our senses, moves into Pisces on Sunday, the 10th till April 17th. Mercury in sensitive Pisces uses our feelings and emotions more in communication and how we experience things. Thoughts can be more imaginative and words more poetic. Our intuition is heightened. And dreams can be more vivid. This is also a good time to dream big, especially since this entire year is blessed with a Saturn / Neptune aspect. Neptune has been in Pisces since February 2012 and stays there till the end of 2025. Neptune in Pisces is an opportunity to dream big. Saturn, ruler of the earth sign Capricorn is now in its “home sign.” For this year Saturn makes an opportunity sextile to Neptune. The dreams and goals and desires and wishes that we’ve been having since 2012 can materialize and be manifested this year or shortly after. Now it’s not magic. We have to do our part. We must believe in our dreams and ourselves. And we must stop making excuses about why they haven’t or can’t happen, as well as putting ourselves down for not having made it happen. Valentine’s day week starts out with surprises, as the Moon in fiery Aries crosses both assertive Mars and unpredictable Uranus on the Sunday, the 10th. And Tuesday, 12th, Mars and Uranus meet (29 degrees). So, there’s unexpected events, conversations, happenings this week, that would be a red flag for staying grounded and centered. Mars moves out of Aries into the more grounded Taurus on Valentine’s Day. For the next six weeks, we’re advised to focus on finishing what we started, rather than chasing new goals. No longer looking for quick results; it’s about the patient application of energy and will to achieve a desired outcome. The Sun moves into Pisces on Monday, the 18th, and the Moon into Virgo the next day for a Supermoon Full Moon (1 degree). This Virgo Moon trines Mars, now in Taurus (3 degrees), and still within range of the meeting with Uranus, making a highly charged Full Moon and adding a sense of urgency. This mixture of fire and earth is rather like volcanic heat. There is a sense of something that has been kept inside finally surfacing with great fury and power. It is possible that some of us will reach a boiling point on a particular issue we’ve been managing to tolerate. Since outer planet Uranus is involved, the theme of destiny is at work creating pressure for change. What we thought we needed may have changed bringing an opportunity for a clearing out. Mercury, planetary ruler of adaptable Virgo is in flexible Pisces, which could ease changes or alterations. It squares Jupiter helping us to stay optimistic but chasing rainbows also may not be quite the desired action. This Full Moon prompts us to quickly review what is possible and where we have been packing too much into our life. The sky shows are the 9th and 10th in the evening watching the Moon pass Mars, the only visible planet in the night sky. Then in the morning at the end of the month and beginning of March as the Moon passes through the line up of Jupiter, Venus, Saturn, and the reddish star Antares, the heart of Scorpio. Do have a good month. I’ll be back in March with the Pisces theme. Kayte Ryann, certified Astrologer from Professional Astrologers, Inc. For consultations call 707-579-2610, text 707-322-0308, or email kayteryann@comcast.net. Gift certificates available.